01 Night accommodation in Mysore. 02 Night’s accommodation in Ooty. 02 Night’s accommodation in Kodaikanal. Daily Breakfast at the hotel. All tours and transfers on private basis as per the itinerary. ny airfare/train tickets. Any meals other than specified in inclusions. Personal expenses such as tips, porterage, telephone calls, etc. Surcharge will be applicable on particular events, festival & fairs. Travel Insurance..
1 Days (Arrival in Bangalore | Drive to Mysore (140 kms / approx. 3.5 hours)) Meet our representative upon arrival in Bangalore and drive towards Mysore - An ancient city with more than 600 glorious years of legacy, Mysore is one of the most flamboyant places in India. Known for its glittering royal heritage, bustling markets, magnificent monuments, cosmopolitan culture and a friendly populace, it is also a thriving centre for the production of premium silk, sandalwood and incense. After reaching, check-in at hotel and visit Mysore Palace - The interior of Mysore Palace is richly carved, intricate, colorful and architecturally thrilling. It is from this palace the erstwhile rulers, the Wodeyars, ruled the Mysore Kingdom. A Sound & Light show which narrates the palace's history with effects of illumination is a mustwatch for palace. Overnight stay in Mysore. 2 Days (Mysore to Ooty (130 kms / approx. 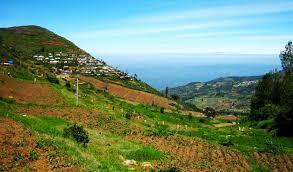 3.5 hours)) After breakfast, drive towards Ooty also called Queen of hill stations, capital of Nilgiris district, used to be popular summer and weekend getaway for the Britishers during the colonial days. 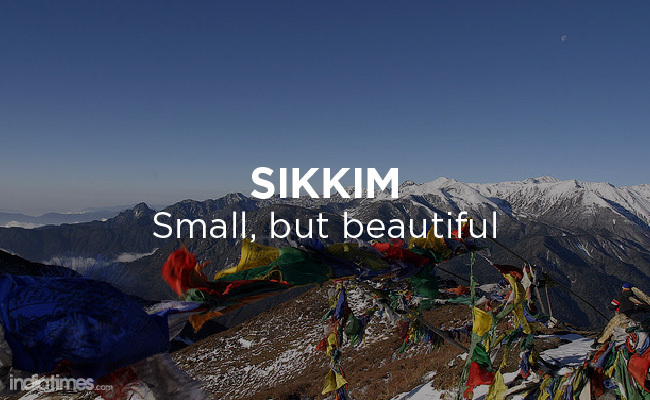 Lofty mountains, dense forest, sprawling grasslands and miles and miles of tea gardens made this place so popular in southern India. Upon arrival, check-in at the hotel. Overnight in Ooty. 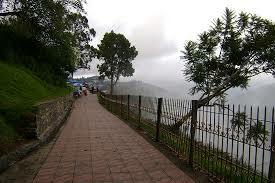 3 Days (Ooty) After breakfast, proceed for the sightseeing of Ooty. Enjoy a tour to Dodabetta Peak for a spectacular view. 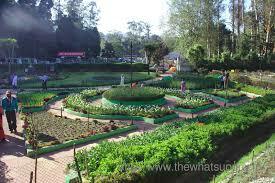 In the afternoon, visit the Botanical Gardens and the popular Ooty Lake. Overnight stay in Ooty. 4 Days (Drive from Ooty Kodaikanal (250 kms / approx. 7 hours)) After breakfast, drive towards Kodaikanal Centered on a very pretty lake, Kodai rambles up and down hillsides with patches of shola forest, unique to the Western Ghats in South India, and evergreen broadleaf trees such as magnolia, mahogany, myrtle and rhododendron. Another plant specialty around here is the kurinji shrub, whose lilac-blue blossoms only appear every 12 years: next due date 2018. Check-in at the hotel upon arrival, for overnight stay. 5 Days (Kodaikanal) After breakfast proceed for local tour of Kodaikanal covering - Bryant Park, Coaker's walk, Pillar Rock and Suicide point. In evening, visit Kodai Lake, the man-made star shaped lake, which spreads out over sixty acres. Evening return back to hotel and overnight stay at hotel. 6 Days (Departure from Madurai (135 kms / approx. 3.5 hours)) After breakfast, you will be transferred to Madurai airport for return flight back home.